From this March 2017 article 'This troubled, covert agency is responsible for trucking nuclear bombs across America each day'. "In marking those twin, grim anniversaries, Gorbachev reminded us that both Fukushima and Chernobyl were "the result of the inability of scientists and engineers to foresee how seemingly small problems can snowball into disasters of almost unimaginable scale." Chernobyl, Gorbachev said, "remains one of the most tragic incidents of our time." – from an article in the Ecologist in 2016. “Fukushima happened in a country which is probably the most rigorous, in terms of technology, in terms of scientific care, in terms of an accountability system. And if it can happen in Japan, Fukushima’s can happen anywhere. The point about nuclear is that accidents don’t happen in any nuclear power plant because of the calculation about your fission material. They happen because a generator stops. They happen because a cooling tower stops. They happen because of small mechanical failures which you can’t predict. But in the case of nuclear, which is a stupid technology because all you’re doing is creating fissionable material, creating radioactive material, using radioactive material, to boil water. The power doesn’t come from nuclear, the power comes from the water. Now, there are safer ways to boil water.” – Vandana Shiva Ph. D., philosopher, world-renowned environmental thinker, activist, physicist, feminist, philosopher of science, writer & science policy advocate. Source of quote. "I don’t have any objective information about what is happening now with the health of children in Belarus. Everything is closed. The government says, ‘Everything’s OK, everything’s OK.’ But I get telephone calls from people in Gomel and they tell me that many of the children we were observing before I left have died. They were of different ages: 6, 12, 14. I will never forget appearing on television in Belarus with the president (Alexander Lukashenko). I was saying we were seeing very serious problems in children because of radiation, while he was saying ‘Everything’s OK.’ But I can’t touch this, because I can’t go there, or work there. ** many more quotes about the causes of the Fukushima disaster here. “Nuclear power is neither safe, clean, cheap nor low-carbon and it continues to cause problems and cost the taxpayer a hidden and open-ended fortune. Let’s learn from our past mistakes and consign it to a lead-lined dustbin.” – Friends of the Earth Scotland (in response to an admission by the Scottish Environmental Protection Agency that it “has abandoned its aim to remove all traces of contamination from the north coast seabed” at the Dounreay nuclear facility (closed down in 1993). “Many believe that a responsible approach to sharply reducing global warming pollution would involve a significant increase in the use of nuclear power plants as a substitute for coal-fired generators. While I am not opposed to nuclear power and expect to see some modest increased use of nuclear reactors, I doubt that they will play a significant role in most countries as a new source of electricity. The main reason for my skepticism about nuclear power playing a much larger role in the world’s energy future is not the problem of waste disposal or the danger of reactor operator error, or the vulnerability to terrorist attack. Let’s assume for the moment that all three of these problems can be solved. That still leaves two serious issues that are more difficult constraints. The first is economics; the current generation of reactors is expensive, take a long time to build, and only come in one size – extra large. In a time of great uncertainty over energy prices, utilities must count on great uncertainty in electricity demand – and that uncertainty causes them to strongly prefer smaller incremental additions to their generating capacity that are each less expensive and quicker to build than are large 1000 megawatt light water reactors. Newer, more scalable and affordable reactor designs may eventually become available, but not soon. Secondly, if the world as a whole chose nuclear power as the option of choice to replace coal-fired generating plants, we would face a dramatic increase in the likelihood of nuclear weapons proliferation. During my 8 years in the White House, every nuclear weapons proliferation issue we dealt with was connected to a nuclear reactor program. Today, the dangerous weapons programs in both Iran and North Korea are linked to their civilian reactor programs. Moreover, proposals to separate the ownership of reactors from the ownership of the fuel supply process have met with stiff resistance from developing countries who want reactors. As a result of all these problems, I believe that nuclear reactors will only play a limited role.” – Al Gore, Sept. 19, 2006. – Song lyrics from Buffy Sainte Marie’s ‘The Priests of the Golden Bull' ** it's a must-hear! “This “out of sight, out of mind” mentality must end. We can’t continue to dump garbage into the oceans, waterways and air or bury it in the ground and hope it will disappear. If we can’t find better ways to use or at least reduce waste products, we must stop producing them. In the meantime, this project must be halted. The Great Lakes are already threatened by pollution, agricultural runoff, invasive species, climate change and more. We can’t afford to add the risk of radioactive contamination to one of the world’s largest sources of fresh water.” – David Suzuki on the Deep Geological Repository (DGR) project in July 2014. “Unlike Ottawa, the U.S. recently declassified 250,000 documents on its atomic weapons and energy program, which reveal that government officials and scientists in both countries actively discussed uranium’s hazards in secret, yet publicly, they remained mute.” – Andrew Nikiforuk in his article ‘Uranium haunts a northern aboriginal village,’ Calgary Herald, March 14, 1998. 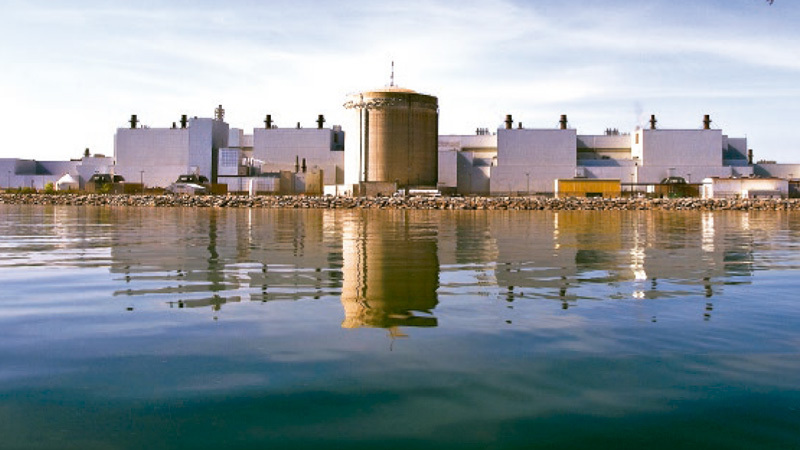 “Reﬂecting on the Lucky Dragon crew members three years after their encounter with radioactive fallout [in 1954 during ‘Operation Castle], Lapp observed: ‘The true striking power of the atom was revealed on the decks of the Lucky Dragon. When men a hundred miles from an explosion can be killed by the silent touch of the bomb, the world suddenly becomes too small a sphere for men to clutch the atom.’” – quoted in Killing Our Own – The Disaster of America’s Experience with Atomic Radiation by Harvey Wasserman & Norman Solomon (1982), page 78. “If you pollute when you DO NOT KNOW if there is any safe dose (threshold), you are performing improper experimentation on people without their informed consent. If you pollute when you DO KNOW there is NO safe dose with respect to causing extra cases of deadly cancers or heritable effects, you are committing premeditated random murder.”– John W. Gofman, Ph.D., M.D. (1918-2007), associate director, Lawrence Livermore National Laboratory 1963-1969) — Comments on a Petition for Rulemaking to the Nuclear Regulatory Commission, May 21, 1994. PLOWBOY: You probably could have studied it forever. GOFMAN: Certainly. Why, I could've had a $3 to $10 million budget every year if I'd simply gone fishing, played tennis, read books or done anything but report on the topic I was assigned to study. That sort of information suppression is a violation of human rights and health! I've taken care of a lot of cancer and leukemia patients and know — from personal observation — what a miserable disease cancer is. And realizing that millions of people may get that illness, and lose an average of 15 years from their lives, as the result of an activity that's sponsored by government and for which the government is prepared to buy prostituted information makes me damned angry." “Silence is an easy habit. But it doesn’t come naturally. Silence has to be cultivated, enforced by implication and innuendo, looks and glances, hints of dark consequences. Silence is greedy. It insists upon its own necessity. It transcends generations. Silence is almost always well-intentioned. What parent hasn’t scolded their child? We don’t talk about things like that. Just look the other way. Keep your thoughts to yourself. This is just for our family to know. You can forget this ever happened. Let’s not upset anyone. If you can’t say anything nice, don’t say anything at all.